Forgot ZIP File Password, How to Open? Protecting zip files have always been very important because there are too many documents and details that cannot be kept simply or unprotected and thus it is necessary to make sure that the documents and the data is compressed so that they can be organised and most importantly kept safe from all the third intervention. Now it is quite common that you are going to forget the password, with so many of them at hand. Thus it is imperative to make sure that you have all the tools at hand to be able to gain access to the file. However one thing must be kept in mind that unlocking and recovering has a difference and this is important to understand because recovering means trying to connect to the original password that you had provided and unlocking may refer to trying to gain access to a protected file that is owned by someone else. Even though the preferences are different, the method of gaining access to the file is still the same and this is what has been provided by iSeePassword Studio. But my first suggestion is that try to recall the ZIP password you set before, try to keep clam and think of all possible combinations you use in the password, including your birthday, phone number, lucky number, license plate number and others that you often use. This is not ideal, although in some cases it may be acceptable to recover your forgotten ZIP password, but I still suggest you to give it a try, because in many cases, you might forgot password temporarily. If this doesn't work, it seems to be a best choice to try an advanced ZIP password recovery program, which used the dynamic decryption techniques and unique data search algorithm, it offers 3 powerful attack types that ensure high success recovery rate and perform automatic and unattended recovery. 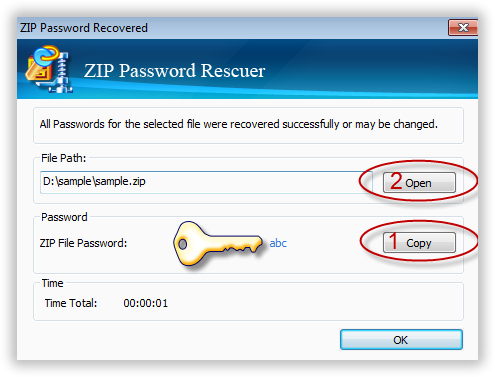 You can directly download the trail version below and follow the guide to recover your ZIP password. To begin the process, you need to first download the password recovery program and install on your computer. The command prompts guide you through the installation process, after installation, launch it. Click on the "Open" button and then select the zip file that you intend to get access to. 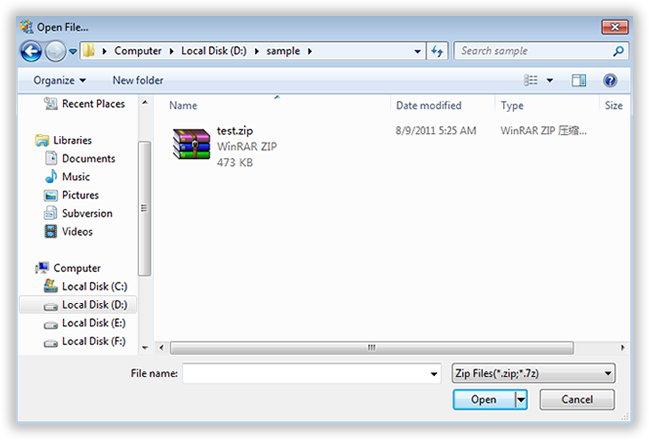 This can be done through the zip rescuer interface after it has been successfully downloaded. Once the file has been selected then open it by a double click. There are a total of four types of modes with the help of which you can unlock the zip file. Hence the smart attack and the brute force attack is the most used since they try about all possible combinations. Brute-Force Attack: The brute force attack will try all the possible password combinations within the length and the range that you have decided. Mask Attack: The mask attack is for those who remember a part of the original password. Dictionary Attack: The dictionary attack will be trying for all the upper case and lower combinations that you have possibly provided. After you have selected the mode of attack then simply click on the "Start" button and initiate the process of the zip file password recovery. This will provide you with the original password and once the process is completed you can simply copy and paste the code to the box and access your the zip file. Thus when you begin and end with this process as recommended by iSeePassword ZIP Password recovery tool, one of the biggest advantages that you will be provided with is the fact that you will neither have to break the original password, nor will you have to recreate an new password and do away with the initial one. All you need to do is simply follow the guidelines and the instructions just as they are and you will be able to successfully recover your forgotten Zip file password.